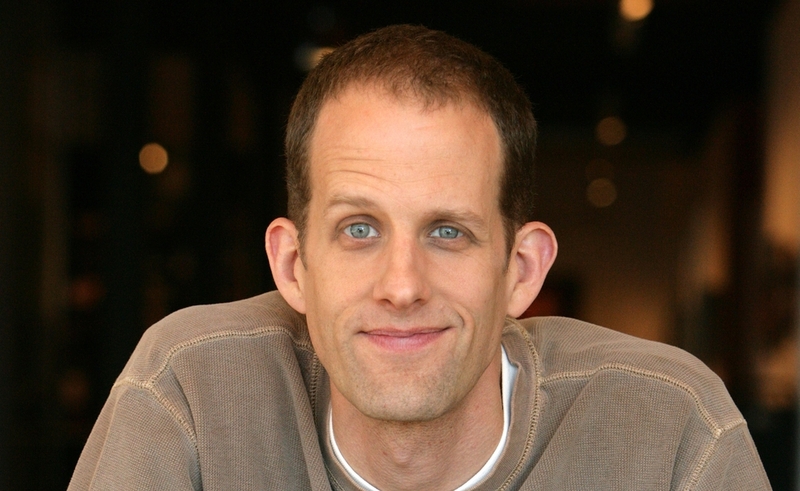 Pete Docter has directed few films, at wide intervals. But it isn’t hard to see what he’s up to at any given point: He was one of Pixar Animation Studios’ first animators, and remains one of their core “brain trust” members, with behind-the-scenes input into their output. He regularly crops up in the credits of their films in a variety of capacities, from storyboarding on A Bug’s Life to story and voice credits on Wall-E to co-producing Monsters University. Docter has directed two previous Pixar features: 2001’s Monsters, Inc and 2009’s Up, both of which touch in different ways on the bittersweetness of growing up. 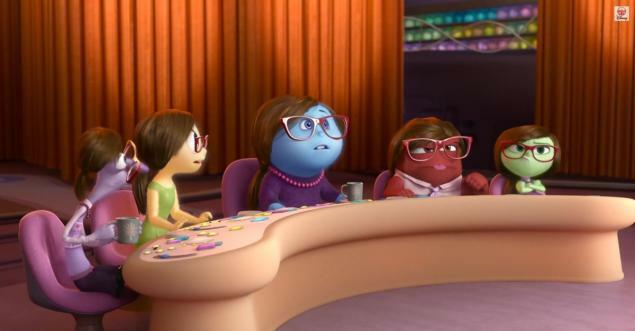 But the new Inside Out, which Docter co-directed with Pixar journeyman Ronnie Del Carmen, makes that idea the central theme, as it follows five anthropomorphic emotions inside the head of 11-year-old girl Riley, who’s navigating her parents’ cross-country move and some other major life changes. During the Chicago stop of his press tour, Docter sat down with The Dissolve to talk about the bits of Inside Out that never made it to the screen, and what parts did, regardless of the cost. The Dissolve: You’ve done a lot of interviews about how the first seed of this film came from watching your daughter grow up, and wondering what was going on in her head. But what were the other big milestones in development? Looking back on it from here, what were the most important steps in getting to this point? Pete Docter: The first one was trying to find out what we were saying. That presented itself pretty early, and it was, “We want to be happy in life. As parents, we want our kids to be happy in life. But that’s not the reality of life, so how are we going to deal with it? We can try to push it away and triumph over it, but that’s pointless in the end. So we have to embrace it.” We had that as a general concept. 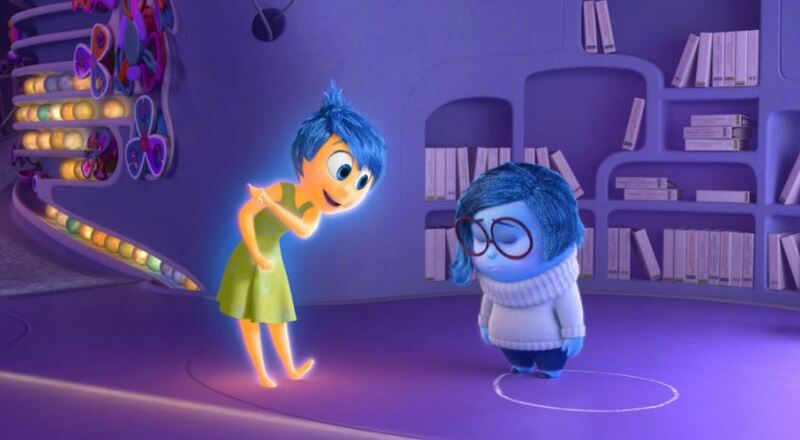 In early development, we tried to pair Joy with Fear instead of Sadness. But we veered off course from that in the long run. We realized that wasn’t really saying what we were trying to talk about, with the laws of childhood and the pain of growing up. That was a real pivotal moment of redoing the story, pairing Joy with Sadness. Another real crucial one, we got a lot of notes that Joy was just not rootable, or appealing. We worked really hard to try to make it clear that for her, it’s all about Riley. That helped a little. And the major thing that helped was landing Amy Poehler, and talking to her about this difficulty of how to make this character rootable and interesting. She was pretty self-knowledgable, and when we met her, she said, “I think I can help you with that. I can say things that other people can’t and get away with it.” So that was a real pivot, and a step forward. This is more of a tone thing, but for whatever reason, as the concept appeared to me, this was an ensemble comedy: It was going to be a group of emotions as characters, and they were all going to be funny. And through sheer chance, Bill Hader showed up at Pixar sometime after that, and he invited us to go visit Saturday Night Live. And just being witness to their process, and a couple other TV shows I got to visit, started me thinking about how to write for ensemble groups. That was another key ingredient. The Dissolve: The movie is so keyed to color, to the point where colors alone tell some of the story about what’s going on with Riley. How did that develop? Docter: Color-wise, when you design a group of characters—five of them together—you don’t design each one in isolation. You create them as a group. So color came in as we were first contrasting them. You have Anger, and that’s fairly obvious, it feels red. Joy is a sort of golden yellow. We had these two as pillars for the color scheme, and then we filled out the other ones. Purple isn’t really a fearful color, but it looks good in the group. I think pretty early on, we had the idea of charging the emotions with color, so you could understand, “This one is a disgusting memory, or that one’s a fearful one,” or whatever. 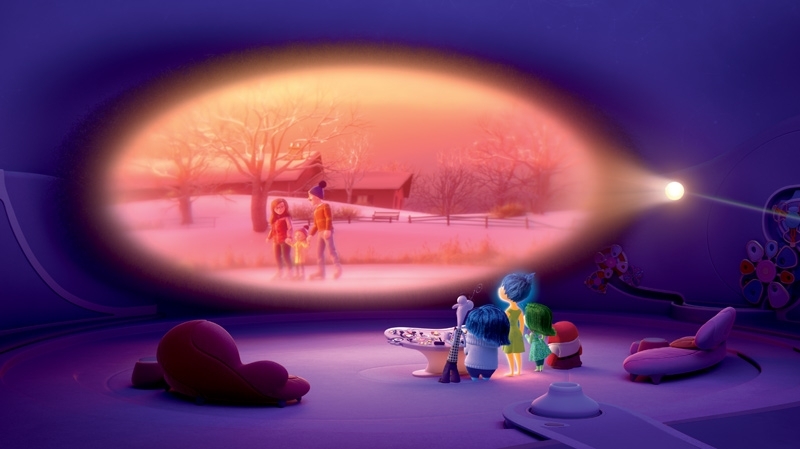 Maybe about halfway through, somebody said at one of these brain-trust meetings, “What if at the end, Joy and Sadness were both at the console and created this multi-colored memory, and for the first time, we saw a blend?” It reflects the way we as parents, or as adults, feel about childhood. It’s much more pure, stronger, and definitive when we experience it. But looking back, it seems nuanced and complex in our adulthood. Those color choices reflect that basic belief. The Dissolve: When you see Riley’s parents’ emotions, it seems really significant that her mom’s lead character is Sadness, and her dad’s lead character is Anger. What went into that choice? Docter: We had an earlier version where somebody told Joy that her time as leader in Riley would be short-lived. Like, “Look around you, Joy. Is Mom happy? Is Dad happy? No, they’re miserable, so your reign is coming to an end.” And so we wanted to dramatize that for Joy, and for the audience. That dialogue changed, but by the time, we’d already cemented this idea. And it still feels truthful, that people tend to lean one way or another. They’re morally apt to be fearful or angry. The Dissolve: I think it works better in the film because you didn’t underline it, or explain it. For me, that seemed indicative of how Pixar trusts the audience. Was there something specific you wanted to gain by not spelling it out? Docter: Well, in the long run, it was less important to the story, but it didn’t seem to be distracting. It just seemed genuinely truthful. Sometimes if you put in bizarre stuff that doesn’t feel truthful, it can be distracting. The audience is going to be like, “Well, why is this like that?” And you don’t want that, because you’re focused on your throughline. The Dissolve: Is it true that Joy was initially the only emotion with that effervescent texture, the fuzzy glow-bulb skin? Docter: Yeah, that was developed specifically for her, and then once we saw it, John [Lasseter] said, “Well, you have to make all of the emotions like that.” And we were like, “Wait a minute, can we do that? This is fairly expensive and time-consuming as a process. Michael Fong, our lead tech designer, had to go off and do some heavy thinking. The Dissolve: Why is it so much more expensive to make characters effervescent? Docter: It’s anything that strays from the normal pattern or process. The normal way is, you have your character. You model it. You articulate it. You shade it. You light it. This process added another sub-loop, where the character was built in the traditional way, but then it was removed and replaced by fog, and thousands of little discs that have a subtle movement. And then over the top of that, there’s a bloom that approximates a kind of light. It just meant that we had a different process, and had to go through a bunch of different departments to make the characters show up correctly on the screen. Once we ironed that out, it wasn’t so bad. The Dissolve: Throughout the film, I kept noticing that one of Sadness’ teeth is longer than the other. All the characters have little asymmetries, or little imperfections. Why do you look for that as part of your design? Docter: That’s something we realized from Toy Story on. The computer loves symmetry. It loves perfection. So, if you computer-model a table like this one [indicates oval hotel coffee table], it’s going to be absolutely mathematically perfect. That might be the goal of the designer who built this, but in real life, it doesn’t happen. In real life, you’re aware in very subtle ways of imperfections—nicks, dents. If you’ve ever done the thing where you take a picture of your face, divide it in half, and flop one half of the image over the other to make a symmetrical portrait—it’s unsettling. You don’t look like yourself. It’s stunning how asymmetrical we are. [At Pixar] we’re looking for ways at almost every stage to bring a little more asymmetry in, because it feels more truthful. Even when characters are posing. This is something animators recognized back in the Mickey Mouse days, in the 1920s and 1930s. You don’t want to do twinning. If you have a pose where the character is doing the same thing on both sides, it looks false. Whereas if you loosen or break it, you get some play. If you look back at ancient Greek sculptures, they’re trying to get this contrapposto thing, where the hips go one way and the shoulders go the other way. It’s just the way life is. I’m trying to represent that a little more truthfully on the screen. The Dissolve: You talk like there’s no loss to a film if you have to drop things that aren’t important to the story. But was there anything you shaved off as a distraction that you liked, and wished you hadn’t had to drop? Docter: Yeah. We used to have more emotions in the film, like Schadenfreude, who would come laugh at people when they got hurt. [German accent.] “Ha ha, your cries of pain amuse me.” Of course he had a German accent. I do that bit when I talk to crowds about the film, and they laugh, and I’m always like, “Hmm, maybe we cut that out too soon, I don’t know.” But in the end, we realized, “Okay, if we open the door to Schadenfreude, then you have a bunch of other emotions that are going to be clogging up this place, and it just adds a layer of complexity to things that seem nice and gettable with the five we have. The Dissolve: How did you settle on those five in particular? Docter: We did a lot of research early on. I think the ones that never wavered, the characters I knew about even before we did the research, were Joy, Fear, and Anger. And then the other ones… Sadness came in pretty soon. I think that was fairly obvious. But Disgust was kind of an unknown for a while. We had Hope. We had Pride. And then we really relied on the work of Paul Ekman, who had early in his career put forth that there were six emotions—our five, plus Surprise. I remember thinking, “If I were going to draw Surprise and Fear, they’d probably react in similar ways. So maybe we can just blend those together, and we’ll just get Fear.” And that’s how we ended up with the five that we have. The Dissolve: Right at the end of the credits, there was a thank-you to something called the Mind Brain Behavior Institute. Is he associated with that? Docter: No, that’s a separate group out of Columbia. They were more neurology-based. They were more about the physical, and where memories live, and how we encode them, and things like this. Some of what they told us—though it isn’t physically represented in the film—still influenced the way we thought about the story. The Dissolve: In what way? Docter: I was thinking about memories. The way we remember in real life, apparently if you recall something, you are now making a copy of that memory. So the next time you recall the memory, you are probably remembering the copy. The only reason that’s bad is, at the time the copy is encoded, you may accidentally add new details. Someone else was talking when you recalled Christmas 1975, and they mention a red table, so suddenly in your memory of Christmas, there’s a red table. It wasn’t actually there, but to you, it feels very real. That was a layer of complexity to things that was really fascinating, but kind of irrelevant to the storytelling. We chose to ignore some of this stuff, knowing we were getting it wrong, because we needed certain things in the story, like the ideas of rewinding memories. But other things did come forward. The idea of memories being emotionally charged—you are much more likely to remember something if it was an emotional experience, which makes total sense. For me, trying to remember the Latin names of plants, it’s like, “No way.” But I can remember when I did something that upset my wife, and I don’t want to do that again. Emotions have a way of really focusing and placing importance on things for us. We represented that by brightness. The important memories are brighter, and the core memories are super-bright. The other ones are just faintly glowing. And the ones that are not so important, like the intervening presidents, those are faded or have no color. The Dissolve: Speaking of which, the TripleDent gum ad—that’s a great gag, but I walked out of the movie with it stuck in my head. Even though it’s only about four notes long, it still stuck with me the way it sticks with Riley. What goes into making a four-note musical sting memorable? Docter: That was fun. That was the second job we gave to Michael Giacchino, I think. We knew we were going to work with Giacchino again. We asked him to write the Bing Bong theme, and then we asked him to write the TripleDent gum song. We ended up changing it along the way, I think the way real jingles are written: It was just subtly a bit more complex than would actually work, for some reason. It was originally too clever. Some of the lyrics we came up with were funny, but they didn’t immediately read as a gum ad. Like you said, it’s got to be memorable after four notes, and you have to instantly know what it is. So we just worked through it a couple of times. 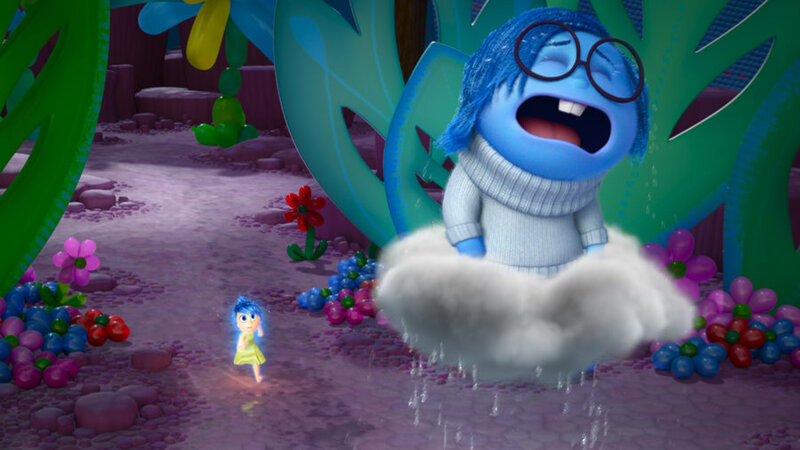 The Dissolve: The whole idea of understanding what Sadness is for is such a huge topic. Why was that particularly something you wanted to tackle? Docter: Because it feels truthful to me, but also, not quite as obvious. I think our hope was that everybody can totally understand and get behind the idea of wanting to be happy, wanting your kids to be happy. And yet that’s kind of a fool’s errand, because life is full of disappointment and tragedy. That’s just the way life is, and nobody escapes that, no matter how much money you have, no matter how famous you are. There are things that are not the way you want them to go. That’s why your other emotions are there. I feel like it’s pointless to pretend that’s any other way. It felt like, “If we can do this right, we have a character whose goal seems rootable and relatable to all of us, because we want that too.” And yet ultimately, we wanted to talk about the reality of life, and how to deal with disappointment and loss. As we got into it, we were talking to [UC-Berkeley psych professor and author] Dacher Keltner about sadness as an emotion. He was pointing out how, especially in America, we medicate against sadness. We don’t want to experience it. We feel it’s something to be avoided. He was saying, “That’s like the equivalent of pumping steroids or cortisone into your elbow because you want to keep performing.” You’re going to continue doing damage to your elbow. There’s a reason you feel pain. There’s a reason why you have sadness. You need to deal with the loss that’s happening in your life. It might not feel pleasant at the time, but it is a necessary part of slowing down, readjusting to how your life is going to go forth. All those things in total felt like we were on to something deeper, unexpected. The Dissolve: You mentioned Joy wasn’t rootable. That’s hard to imagine, given that she represents happiness. What about her was originally so unsympathetic? Docter: We gave her lines like, everybody else would be worried and angry, and she would be like, “Guys, guys, come on, we can do this! Let’s all work together and dadadada.” Joy combatting all negativity is okay for one or two lines, but when all the lines hit the same note, it felt disingenuous. It feels like, “Just give it up.” People in real life that are constantly chipper, I kind of just want to smack that kid. We had to find a balance of just enough self-awareness so it’s not annoying. Amy Poehler helped enormously with that. The Dissolve: There are relatively few situations in the film where the emotions seem to be controlling Riley. They give her the idea of running away, and they seem to make her slide down a bannister, but mostly they just affect how she observes or reacts, not what she does. How did you think about the balance between them being in control and her being in control? Docter: We had earlier versions where they had a microphone at the console, and would suggest things she should do or say. That got us into a big problem. The story is told from a parent’s point of view. We needed Joy to have this loving relationship with Riley. If Riley’s a big robot Joy can control, that’s a lot less understandable, so we stripped all that out. It also mirrors the way our own emotions work. We don’t choose to be angry, it happens to us, but what we do with that is up to us.